You have a long and exciting day ahead of you, so the first step to get your wedding day headed in the right direction is to fuel your body. You just woke up from your Wedding Eve slumber and there are a thousand things you need to do before waltzing down the aisle.But before you head out the door to begin your up-do and make-up session- STOP and head into the kitchen.This quick and nutritious pit stop will play a critical role in how your body and your nerves handle the rest of the day! 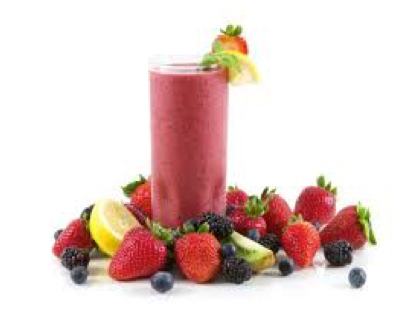 Whirling up this wedding day smoothie will replenish your body with much needed vitamins and protein making a huge difference in how you handle the rest of the day’s events.Yes!Fueling up with a nutritious, protein packed smoothie will give your body fuel to burn - the right kind of fuel at that. This will speed up your metabolic rate and help you break out of the fasting state. This metabolic boost will set the tone for the rest of your wedding day. It doesn’t make sense to skip breakfast, especially on your busy wedding day. Depriving yourself of nutrients and energy in the morning is depriving yourself of food when you need it the most. Wild dips and spikes in blood sugar levels will ruin your day.You don’t want unstable blood sugar levels messing with your metabolism and affecting your mood on any day, but certainly not your wedding day. Remember, it's morning. You need to burn energy, not store it! Blood sugar lows reap you of energy and lead to headaches, difficulty thinking, irritableness, and food cravings and that’s when even the sweetest of brides turns into…yes, bridezilla! Put all ingredients into your blender and whirl until smooth.It’s super easy and you can pour your frozen treat into a to-go cup and take off! NOW, you’re ready for a great day!